The UAE's Ministry of Health and Sanofi are in a key long-term partnership programme to enhance the pharmacovigilance infrastructure through developing pharmacists' skills, efficiency and performance in alignment with the unified healthcare strategy. Under this deal, the two-day fifth National Pharmacovigilance Conference began today (September 16) in continuation to the efforts for the 'Integration Initiative' launched in September last year. 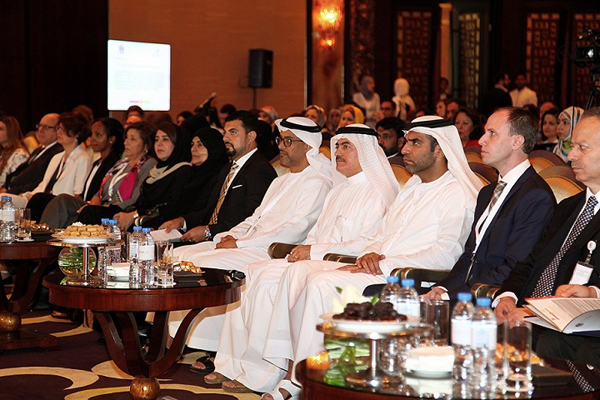 It has seen national level participation from over 200 pharmacists from the UAE and GCC countries. Also participating are professionals involved in regulatory affairs as well as drug safety officers, National PV Committee members from UAE, researchers and academicians from the UAE and various countries. Renowned experts from the industry and government are sharing their experiences and educating the attendees on the execution of the ‘New Arab PV Guidelines’, understanding the global system of pharmacovigilance, integrating drug safety monitoring in the loop of drug regulators, process of signal detection, risk management and drug safety, leading towards strengthening the environment which can ensure the safety of patients in UAE and regional countries. The participants will also learn about pharmacovigilance requirements for biologicals and biosimilars, safety communication on social media, and capacity building practices for pharmacists. Dr Amin Hussein Al-Amiri, assistant undersecretary for the Public Health Policy and Licensing in the Ministyr of Health, said: "Pharmacists play a pivotal role in ensuring the health and well-being of people as they are often the most common point of contact for patients. "In addition to their responsibilities regarding drug dispensing and compliance, they can play a substantial role in adverse drug reaction (ADR) reporting. Pharmacists contribute to monitoring the ongoing safety of medicines and more widely in pharmacovigilance. Therefore they need to be up-to-date on good clinical practices, clinical standards, and drug safety guidelines. The professionals had the chance to attend four insightful sessions on day one of the conference, while the second day will be dedicated to interactive workshops tackling the practical aspects of pharmacovigilance such as different methods for causality assessment, risk management plans for biosimilars and additional PV monitoring for new molecules.